We love hummus. It's made from chickpeas, and it's delicious! And while the average calorie count of 60 is completely reasonable, the serving size is typically just 2 tablespoons. 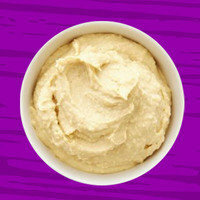 Picture 2 tablespoons of hummus, and ask yourself if you have ever stuck to a portion that small when scooping it... Not likely! Chances are, you're consuming at least 1/3 cup in a sitting, which has about 160 calories, and that's before you factor in what you're dipping into it! Add just a single serving of baked chips, and you're approaching the 300-calorie mark. Our advice? Always scoop out a single serving before snacking; never dip directly into the container. And stick with cut veggies instead of carby chips to keep the overall calorie count low and the satisfaction factor high! What you assume is a light dessert can get out of control fast. Let's start with the yogurt itself: Some varieties have as few as 8 calories per ounce, but others have as much as 40. And while the size of a small cup might be a reasonable 4 ounces, when was the last time you saw fro yo without the trademark swirl towering over the top? That can easily double your stats, totaling nearly 350 calories in no time! 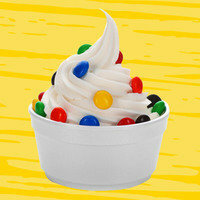 And don't forget about toppings: candies, nuts, and syrups rack up the calories fast. So what's a fro-yo lover to do? Easy. Always find out the calorie count of the exact flavor you're ordering (check the store's website, or request the info), and immediately factor in the extra ounces coming from that swirl. Then stick with smart toppings, like fresh fruit -- or maybe a few sprinkles! Anyone who's ever snacked straight from a can or bowl of nuts knows that moment when you suddenly realize you've eaten ALL the nuts. "No sweat," you think, "nuts are healthy." And that they are, but they're also nutrient dense. Meaning that you only really need a small portion of them in order to reap the benefits. 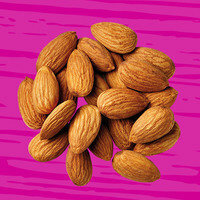 It also means that if you go nuts with your snacking, you can take in meal-sized calorie counts. Half a cup of almonds or cashews? Around 400 calories. ACK. That's not to say you shouldn't eat nuts. Just watch your portions. Store-bought 100-calorie packs (like those by Blue Diamond or Emerald) make it easy. Or DIY: Divvy up a big bag or can of your favorites into mini snack bags. 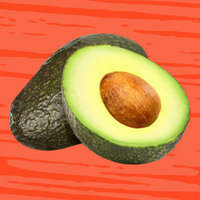 Truth time: The average avocado has over 300 calories... even a small one has close to 200! Yes, it's packed with nutrients, healthy fats, and fiber -- we love that -- but you don't need to eat a whole one to get the good stuff. Many people treat it like any healthy fruit or veggie, spooning a big portion of it straight from the skin onto their salads, sandwiches, etc. And since avocados brown quickly once cut, it's common to use an entire avocado in a single day. A quarter of that avocado is all you need. To keep the rest from browning, try these tips: Press plastic wrap directly over the cut part (don't remove the pit), or squirt it with lemon juice and store in a food-safe container. Brilliant! Whole-wheat noodles are certainly a smarter choice than white ones, but that doesn't change the fact that a single cup of them has around 200 calories. 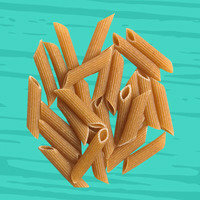 Take a peek at the one-cup measuring tool in your kitchen; that's not a lot of pasta! Instead of doubling up on your pasta portion and taking the inevitable carb hit, bulk up a single serving of whole-wheat pasta with veggies. Add zucchini ribbons or cooked spaghetti squash to your dish and get much more mass for a minor calorie bump. Or swap out that pasta for veggie alternatives entirely... Click here for recipes! Cane sugar, agave syrup, honey… They're cleaner than refined white sugar, but that doesn't mean you should be consuming them with reckless abandon. They still pack a lot of empty calories: around 60 per tablespoon. 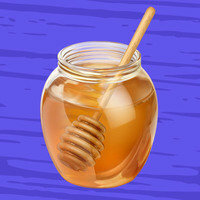 If you can't part with pure honey, try Truvia Nectar, a mix of real honey and stevia extract with 50 percent fewer calories per serving than sugar. It has the same consistency as honey, but you only need to use half as much to get the same amount of sweetness. And instead of cane sugar, opt for natural no-calorie sweeteners, like those made with stevia or monk fruit. Major calorie savings! Today, June 24th, is Take Your Dog to Work Day. Please enjoy this photo of Lolly (HG Lisa's dog) lounging at Hungryland! Know a pal or two who might appreciate this info? Click "Send to a Friend" ASAP.